This whole ranking is far from hard science, but it gets even worse when trying to figure out who slots in to what starter role. I did my best to keep it to what I think is the most likely rotation for each team, and if the order changes, it will affect the points given. 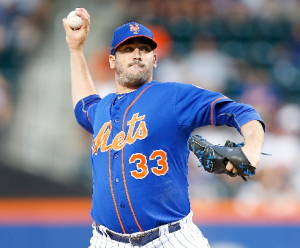 For example, Matt Harvey was considered the #1 pitcher going in to last season, Syndergaard the #5. And I put Tanner Roark as the Nats #5 last season. Things change. But such is life, we forge ahead. As usual with the upper echelon pitchers, aces are aces and, other than Clayton Kershaw, they’re all so good you’re just picking from different flavors of greatness. Sadly, it is less confusing this time because without Jose Fernandez, there are only two real Cy Young candidates on this list instead of three. But there are still two guys here that, whenever they throw, we Can’t Hardly Wait to see what they do, in Scherzer and Syndergaard. Last season, Scherzer had the better overall value and most peripherals, but Syndergaard had a better FIP. I would guess something like that happens again, with Scherzer throwing enough additional innings to earn the higher WAR spot. But they’re both great, Syndergaard could easily be the winner here, and they are both a significant distance from their competition. But I’m taking Scherzer because, hey, he IS the second best pitcher in baseball. Teheran is good and still pretty young, while Volquez has had really good seasons, and bad ones, but isn’t so young. Hellickson was fine last season, but he doesn’t compare to the other guys here. 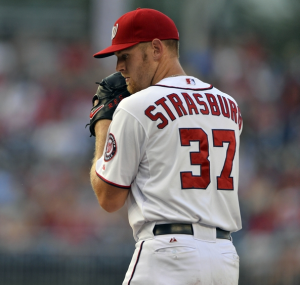 This is similar to the previous category – deGrom and Strasburg are both the class of the group. Both could be the best pitcher in baseball if they are healthy now. But How Soon is Now? and how long does it last? Last season, both of them got hurt and pitched almost an identical number of innings. You could give deGrom the edge and I wouldn’t quibble because sitting out some time for injury is almost expected for Strasburg, and, probably less-expected for deGrom. I gave Strasburg (who is a year younger than deGrom) the edge because his peripherals were better than deGrom’s last year. deGrom’s strikeout rate took a dive in 2016, and if it doesn’t improve it’s hard to see a healthy deGrom besting a healthy Strasburg. Nola is a pretty talented young pitcher, while Chen is solid but not much more. Colon is over 40 years old and over 40 pounds overweight, but he could still be decent, for some reason. 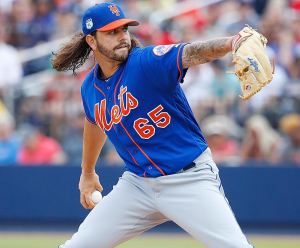 The Rise of the Roark and that of Harvey were very different – Harvey was a top 10 draft pick, Roark was a 25th rounder – but they’ve both turned into great starting pitchers. And they both have questions about if they can do it again. Roark was great last year, and Matt Harvey was really bad. And even just a few weeks ago, I was inclined to rank Roark higher because of Harvey’s shoulder injury and his unimpressive Spring Training thus far. But, while he’s not throwing 96+ at the moment, he is sitting in the 93-95 range, as opposed to some precipitous dropoff. I think he’ll still be really good. Roark, for his part, is really good, too, but he has, through little fault of his own, never even been a Major League starter for two consecutive seasons. The upside with former-ace Harvey is too high to ignore, so he gets the spot. Garcia is a good starting pitcher, but, despite his poor second half last year, I like the chances of Velasquez being better. Koehler will have some good days, but he’ll have quite a few bad ones as well. Gsellman was a revelation last season, but he didn’t face top competition, and he outperformed his minor league stats in a small sample. But he was a good minor league pitcher, regardless of peripherals. Gio still has value, but his decline was pretty big last season. A solid season out of either of those two could be a big difference maker for either team, frosting on the cake of an already strong rotation, something real sweet for either team, just like, well, Just Like Honey. As for the other guys, Eickhoff is a solid starter who could improve if he learns to pitch to lefties. Dickey throws a knuckleball so he will often make both Braves fans and opposing fans want to scream. Straily had a good ERA last year, but bad peripherals, I’d expect him to look much worse. 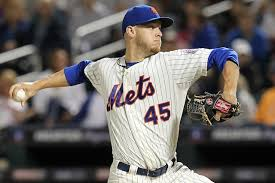 The fifth starter discussion usually is a “5th and the rest” starter discussion, and that is what gives the Mets the edge. “The rest” for the Mets are loaded. The really have a Magnificent Seven starting pitchers, and when you get down to the end, it still looks impressive. Ross and Wheeler both have a chance to be really good this year, like “5th starter who could be a #2 or 3 on another team” good. Both have recent injury histories, and if it was just Wheeler vs Ross, I’d lean towards Ross because I think he’ll be healthier and start more games. But if Wheeler does get hurt again, the Mets have other really good starters to draw from. The Nats have no such enticing backup plan. And yeah, I know the plan is to put Matz in for Gsellman when he returns, but that doesn’t change the point, or the ranking here. Foltynewicz could be the Braves best starter by the end of the year, if things go really well for him. Conley is not quite as talented, but he is still a decent option as a fifth starter. Buchholz just isn’t what he once was. This division has a group of solid closers, but none are real superstars. At first glance, the top three guys all seem pretty Close, to Me at least, in terms of walk and strikeout rate. Familia has been the best of the bunch, while AJ Ramos is also excellent, with both the highest K and BB rates. Treinen was really good last year, but his strikeout rate is a little bit lower, although he was 6th in GB/FB rate, which has the Nats seeing him as a sort of Zach Britton light (maybe Sam Dyson is the better comp). Jim Johnson is a veteran closer who is effective but probably nothing special. Gomez isn’t all that good – Neris is better, but who knows how long it will take for the Phillies to make the switch. There you have it, the Nats win the division over the Mets by a whisker! Let’s start the playoffs!! What this actually shows us is just how close these two teams are, and just how far off the other teams in the division appear to be. As we saw last time, the Nats have the better lineup, and this would suggest the Mets have a better pitching staff. And that’s probably true. 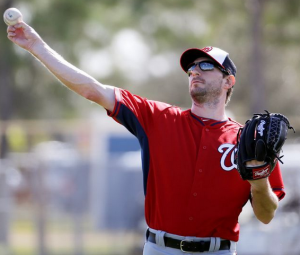 The Nats do have the better lineup and a very good pitching staff, and are more balanced. So, they should be able to win the division. Unless the Mets can beat them. How? Well, if their pitching staff outperforms the Nats up and down the rotation, which is entirely possible. Both teams look good this year, the Mets may be more volatile, but they probably also have a higher ceiling, thanks to seven potential stud starting pitchers. Of course, in the end, like the last three seasons, these teams are so close that the difference will probably be health. Whoever stays healthier will probably win it. 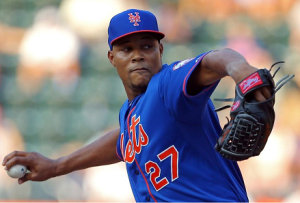 If the Mets want to be in the running, the pitching staff has to keep pitching. If the Nats want to make sure I stay at the games and Don’t Go Back to Rockville in the 5th inning, their lineup has to be healthy. If both teams are healthy, that’s when it will get really interesting. As for the rest of the division, I think the biggest thing to note is that unlike last season, Miami isn’t a clear favorite to finish third. Atlanta’s comeback is starting, and it is reflected in these numbers – whereas last year they were very close to Philly’s score, this year they’re almost at Miami’s. Neither of these teams, though, should contend for a division title, unless disaster strikes both the Mets and the Nats. The Phillies are in full rebuild mode, and should finish not just at the bottom of the division, but also at the bottom of the league. Yet another good rundown. Thanks for your analysis. Being a Nats fan I’ll take the division chapmionship win by a whisker (and the Nats have plenty of them this year) and cling to it.